Not convinced that selling with an agent is the way to go? Take a look at these 3rd party stats on FSBO (For Sale By Owner) vs agent listed properties. We want to make this process as simple as possible. Get a free market analysis of your home by filling out this quick form. We will get back with you as soon as possible. 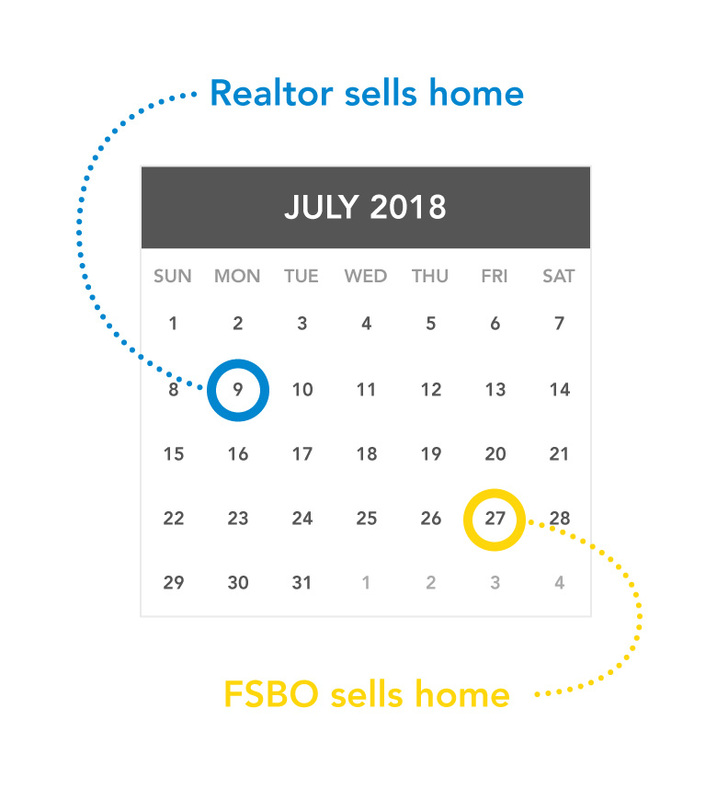 Not only do FSBOs empirically take longer to sell, 20% of them end up relisting on MLS which converts to an average of 68 days longer on the market than realtor properties. In 2012 FSBOs accounted for as little as 9% of the property listing and had a significantly lower selling price on average. FSBO properties sold for $174,900 where the realtor properties sold for $215,000. The most difficult problem FSBO faced was drawing up the contracts and understanding the legal paperwork involved in selling a home. Rarely with FSBOs have data on comparable homes in the area. Most FSBOs make the mistake of pricing based on emotion instead of market factors. FSBOs have trouble focusing on what needs to be done to make the property worth its full potential and frequently invest in the wrong areas. Realtors are well connected within the industry and can help buyers and sellers find the right people to make the transactions go through. FSBOs don’t have the promotion and marketing channels of an experienced realtor. Internet listing is the best resource for FSBOs. If you’re already sold your home it’s a risk to try the FSBO route since historically FSBO homes take longer to sell than realtor properties. Negotiation, contracts, paperwork, and showings take time and take even longer if you’ve never sold a property before. This category was more miscellaneous issues FSBOs faced like home inspectors, settlement issues and difficulty negotiating with potential buyers. Not every FSBO has a problem selling their home and 30% of FSBOs that didn’t know the buyer reported to have no major problem with selling their property. Let us be your realtor so you can get the most out of your house.